Our chat with Senior Marketing Director Aaron Cohen. The Sims: Medieval is a bit of an imaginative leap for EA’s biggest franchise, transferring the property hunts, cartoonified social relations and, of course, blinking thirst and hunger bars of previous games to a fantasy realm redolent of Fable III and Harry Potter. VGD sat down with Aaron Cohen at Wednesday’s EA showcase to discuss the title. Will there be a Create-a-World option in The Sims: Medieval? No. 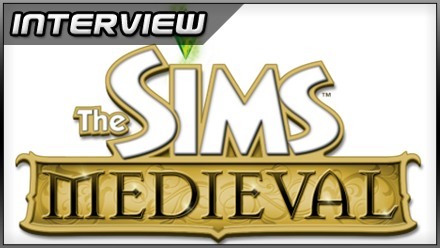 What we wanted to do with The Sims: Medieval was to actually create a world that players couldn’t create. We have an amazing art director who’s worked on everything from God of War through Ratchet and Clank to several games within EA Games, and he created this beautiful world. We acknowledge that we took a little bit of creative control away from the players, but we wanted to craft a world that, as soon as you saw it you knew it was a new base game, it wasn’t an expansion pack, it was striking. And we knew that people would start telling stories in their head as soon as they saw our world. It needed to be evocative, visually stunning. So we created a world crafted by hand. Piss off a neighbouring kingdom, and its reps may start bothering your townsfolk. Now, that being said, there’s lots of customisation inside the game. Players who are creative are going to enjoy customising all the interiors, all the clothes, all the heroes. So players are going to have lots of creative control within the game, but not a world-building mode. There are religions in your game now, which I understand fans have been requesting for a while. Is that a reflection of the fact that the medieval setting is a bit “safer” in PR terms? Does it allow you to handle issues that might cause offence in a modern-era Sims title? It’s not safer so much as that in medieval times, religion drove people’s daily lives – it’s just what was the foundation. So it’s hard to do a medieval game and not deal with the question of religion. So, we’ve actually dealt with it in a very interesting way in that we’ve added two religions who are very different and often in conflict with each other. And what’s interesting is that you are actually the God – the God is called the Watcher, both religions worship the same God and that’s you. The Watcher reaches into the world and manipulates the lives of the Sims. The Sims have free will, but sometimes they’re controlled, much as people sometimes feel controlled. So we’ve sort of established a religion which is almost the establishment of the fiction for the entire Sims – the two religions of the Watcher, if that makes sense. Wonder if there's a quest to pen a love sonnet? In terms of the combat and war aspect, how much control do you have? Can you drag-select armies and send them in? Yes, you can be very warlike and constantly pick fights with other kingdoms. That will have downsides to it – you’re going to have your citizens become unhappy, you’re going to have visiting characters from other territories doing bad things within your kingdom. It’s not a good idea to be constantly at war for any country in reality, but you can do that – it is a player choice and will drive a different kind of story for your kingdom. Oh no, the wars themselves won’t be driven by religion, they’ll be mostly driven by trade, by “you made me mad for this reason” – there won’t be religious wars. The two religions are in conflict but they’re not in physical conflict, it’s more about influence, about how many Sims in the kingdom will convert to one or the other. 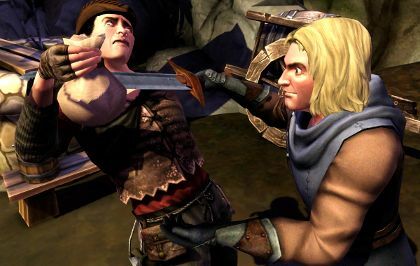 Do you worry that the fantasy element might deter some returning Sims players who associate it with statistics and olde worlde dialogue, “heavyweight” role-playing and strategy titles? The thing about Medieval is that this is for people who like the medieval setting – it’s for people who do like RPGs and strategy games. And I think we found from all the researchers that Sims people, they like the medieval setting too. The medieval setting has been explored so much in popular culture and books, everything from Shakespeare to Tolkein to King Arthur to Robin Hood. The medieval setting is a rich, evocative setting that people can tell stories with. People like medieval kings, queens and knights. So by marrying the Sims to it we’re just giving people new stories to tell. Sims fans want new stories to tell with their Sims, and there is a segment of RPG and strategy gamer who really enjoy the story-based aspects of those games, will come over and enjoy this as well. Aaron, thanks for talking to us. The game’s out for PC and Mac in March 2011. 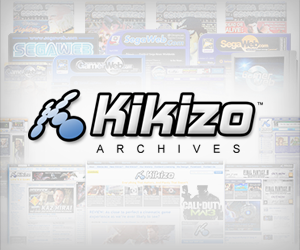 Posted in Interviews, Top 5, and tagged with 2011, Electronic Arts, Mac, PC, The Sims. i can’t wait till march……….